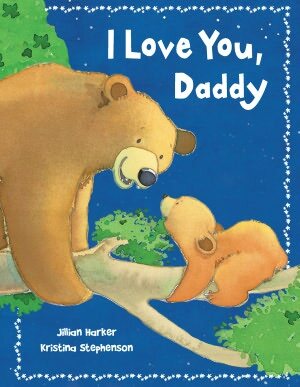 Anyone who has been to my storytimes knows what a softie I am for books about Mama or Daddy Love. You know, those overly sentimental books that make you feel all squishy inside about your kid and make you temporarily forget about all the concerts and bars you could be going to if you weren’t on potty duty. This is one of those books. I Love You, Daddy is adorable. I may have even gotten a little weepy at the end. Beautiful watercolours, beautiful text and positive parenting are all present. Unfortunately, there are no interactive features, and the only option is Read by Myself. I would be really pleased with this eBook- except for the fact that I actually paid $2.99 for it. If you have to pay something, there SHOULD be interactive content. Otherwise, you may as well just read one of those old fashioned books. The ones that take up space on shelves, collect dust and have to be shipped from Asia. Posted on January 3, 2012, in eBook, eReader, Review. Bookmark the permalink. Leave a comment.